General spaces in Lots C, D, E, F, G, GV, H, J, K, L, N, S, T.
Employees may register multiple vehicles. If you have a rental vehicle for a week or greater, fill out a Temporary Vehicle Registration and forward it to the Parking Office. If you have a rental vehicle for a day or two, simply stop at the Visitor Information Center, show your ID to the attendant and ask for a day pass for the rental vehicle. To park in a Reserved space, you must purchase and display a Reserved parking permit. Fully reserved parking lots include: E, M, R, U, CIMS West, Grace Watson Circle, Kate Gleason Circle, and Sol Heumann Circle. When visiting an on-campus apartment complex, use Visitor spaces only. If Visitor spaces are full, refer to the specific apartment complex overflow locations. Between 5 p.m. - 5 a.m., Reserved except Admin and Gannett are open for general use. Regulations are in effect 7 days a week, year round including break weeks, holidays and weekends. Never park in Handicapped spaces without a valid Handicapped permit. No parking is allowed at any time in these areas: Roadways, fire lanes, unpaved areas/grass, Admin Lot/spaces, Gannett, loading dock, or other unauthorized areas. See definitions for more information. The person who registers the vehicle (registrant) is fully responsible for all fines issued to vehicle and must properly inform other users of RIT’s parking regulations. Any vehicle parked in an unauthorized location will be ticked or towed at owners/registrant’s expense. If you wish to appeal a parking citation issued to your vehicle, go to Appeals for further instructions. All Residence Halls circles, L and M Lots are closed 1am – 5am, Monday-Sunday. 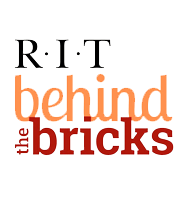 RIT members are responsible for informing their guests of RIT parking rules and regulations. Sponsors of RIT departmental functions are responsible for any citations or towing fees incurred by their guests. If you are organizing a single day or multi-day seminar, camp, or conference, please contact Adam Petzold, Special Events Manager to arrange parking accommodations for your guests. If you are attending a meeting, seminar, camp or conference at RIT, contact the department organizing the event for parking arrangements and instructions. Non-RIT employees providing a service to the RIT community are considered vendors and must obtain a Short-Term permit from Parking and Transportation Services. Short-Term spaces are located in Lots C, D, F, M, S, T, Student Health Center (Bldg. 23A), south service parking area (south of Bldg. 04). A short term permit may be shared by individuals within the company. All the rules and use limitations are specified in the permit application form. All parking rules are in effect 7 days a week, year round including break weeks, holidays and weekends. Parking and Transportation Services (PATS) reserves the right to revise parking rules and regulations at any time. Vehicles parked in unauthorized locations will be ticketed or towed at the owner/operator's expense.